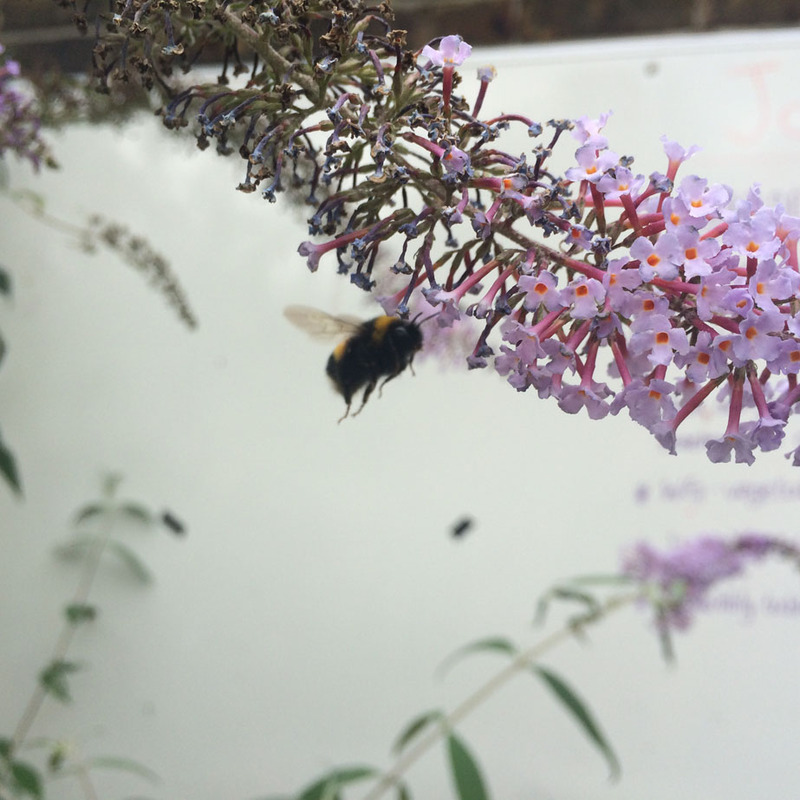 Bees in the Old Tidemill Wildlife Garden, Deptford. 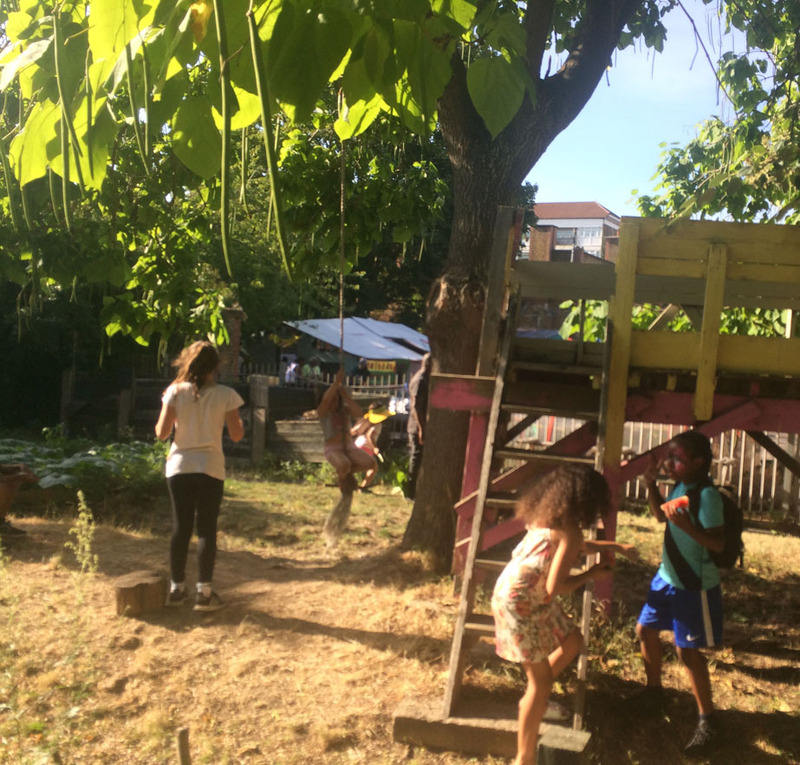 Jamaican Independence Day, Old Tidemill Wildlife Garden, Aug 2018. 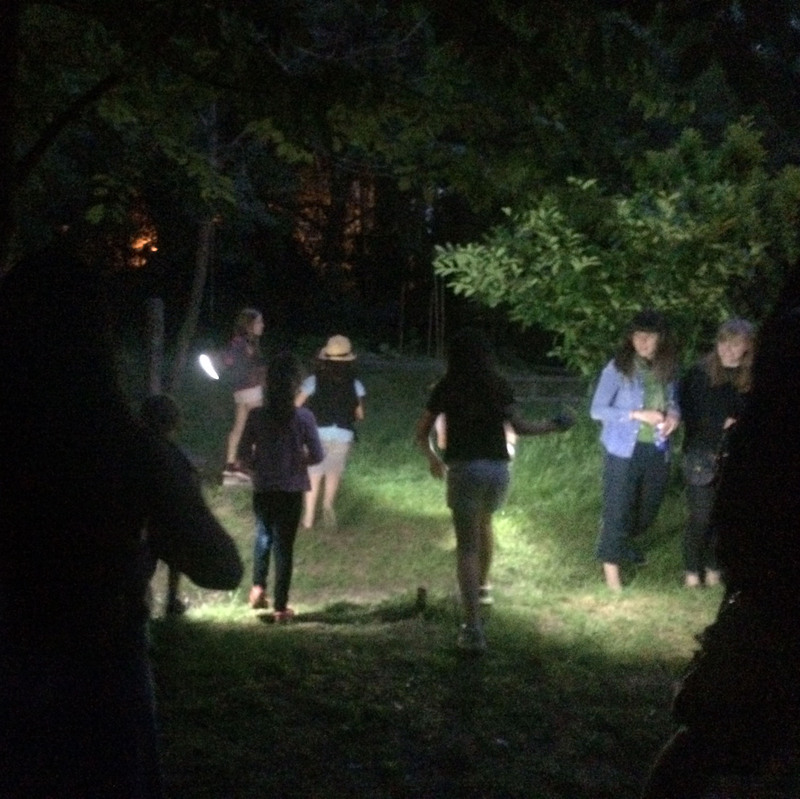 Peruvian Benefit Party, Old Tidemill Wildlife Garden, May 2018. Hope you had a chance to enjoy the sun and recharge your batteries over the summer! We have an exciting season of events ahead with many opportunities to get involved and help build a self-organised alternative art school. Today Monday, 3 September is the last chance to apply for the Critical Theory in Contemporary Art Practice Bursary for a free place on the course. Please download the application form and return it by midnight tonight. Our first event of the season is the book club on 14 September with a discussion on David Deutsch’s video lecture Why are flowers beautiful? facilitated by John Fortnum. 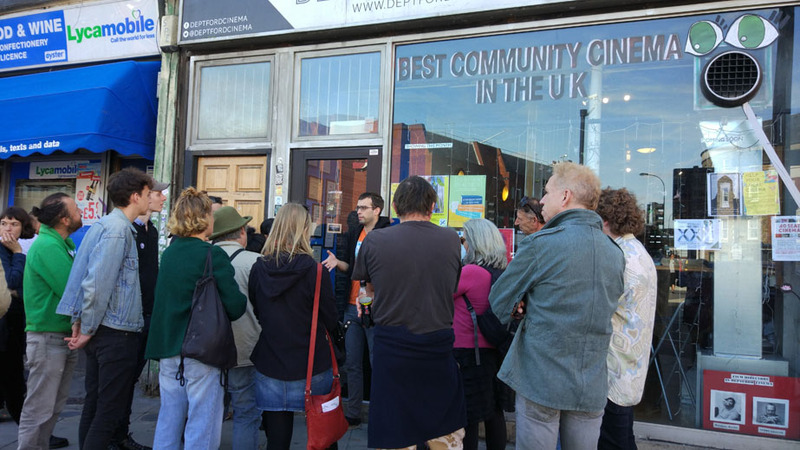 Join us on Saturday, 29 September for the second installment of the Deptford Art & Gentrification Walk. 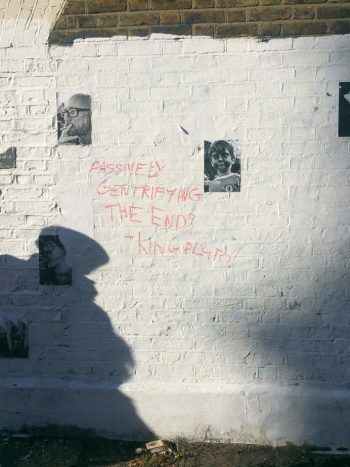 Meet at 1pm inside Deptford Railway Station for an afternoon of discussions on the relationship between art and gentrification. On 26 October 2018 we have a general meeting to discuss the future of the book club and nominate a new coordinator. Please come along if you’d like to help run the book club, decide how it works and keep it going. We will also be discussing a new research and reading group on radical pedagogy, alternative art education and self-organisation leading to the launch of a self-organised studio programme in 2019. If you were subscribed to the symposium discussion list and have been removed due to the new GBPR policies please get in touch to rejoin the list. We’re helping to raise money for a legal challenge of Lewisham Council’s decision to demolish the community-run Old Tidemill Wildlife Garden and the council homes of Reginald House as part of a regeneration scheme of the Old Tidemill site in Deptford. 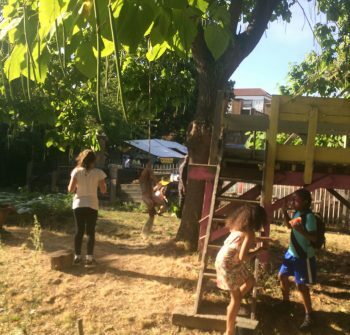 Please donate so we can Save Tidemill, Save Reginald! or come along and get involved in the campaign. Deutsch: Why are flowers beautiful? Old Tidemill Wildlife Garden, Deptford. Photos by Sophia Kosmaoglou. Robert Mapplethorpe  Sepia Orchid from the series Flowers. Toned photogravure, 50 x 51 cm. Stanford’s Library Map of London & its Suburbs 1864, showing proposed Metropolitan Railways (detail).